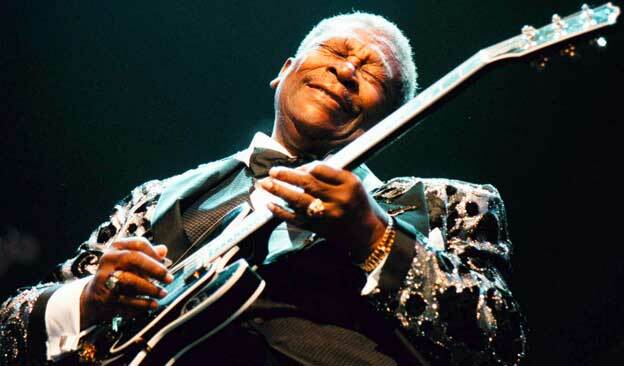 Blues is an incredibly popular style of music for a lot of guitarists. Being able to jam over a blues shuffle and rip into some expressive bends and licks is incredibly fun. The good news is that even beginners can get started with blues. Some of the finest blues songs are surprisingly easy to play once you learn some essential techniques. In this guide, we’ll look at what you need to do to start learning and playing blues on guitar. If you play electric guitar, we’ll look at pedals and gear to help you get a good blues tone. If you play acoustic guitar, you can skip that section and look at the advice on blues techniques. What Guitar Do You Need For Blues? B.B. King, Stevie Ray Vaughan, and Joe Bonamassa are three very different examples of respected blues guitarists. As you can see, they use very different style guitars and play very different style blues. The reason I want to point this out is that a lot of guitarists say “you need X to play blues” The truth is there is no best guitar for blues. Some blues guitarists love to play on strats while others prefer a Les Paul. Some feel that you need a high-end guitar, while other excellent blues guitarists sound amazing on the cheapest guitars. 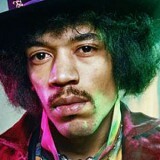 So for example, if you love the style of blues Jimi Hendrix played, you would look for a strat style guitar. Whether that means you should be a $2000 Fender Stratocaster or a $300 Squier depends on your budget and what feels right to you. You might pick up a $2000 strat and dislike it. That’s fine – find a guitar that you enjoy the look and feel of. Don’t let somebody tell you that anything below $2,000 is a waste of time. Don’t forget that you will develop your own style in time. Just because your favorite guitarist plays a certain type of guitar, it doesn’t mean you have to as well. But sticking to the same type is a good starting point. 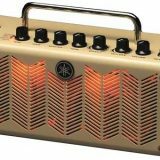 The goal of a blues guitar amp is to give you a full and warm sound. Ideally, it will give you some overdrive, but it doesn’t need to give you high gain like a modern amplifier. 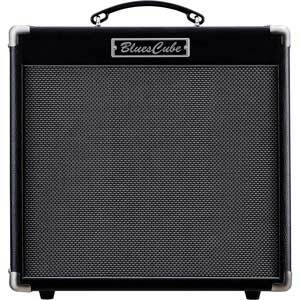 Some of the best options for a blues guitar amp is to find a small combo amp with tubes. There are great solid state amps out there, but many blues guitarists prefer the idea of having a tube amp. If you can afford one, go for it! Otherwise, solid state amps are usually far more affordable. It’s common for blues guitarists to use a gain pedal to drive the tubes into overdrive. This is why smaller amps are better for blues. Having a large amp means you need to keep the volume down, which makes it harder to push the amp into overdrive. A small amp is easier to push into overdrive and can still be surprisingly loud. A 30-watt amp can be ridiculously loud at home or in gigs. 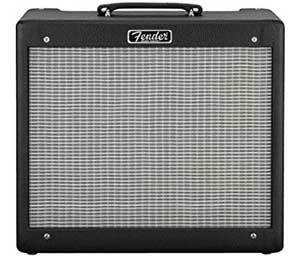 The Fender Blues Junior III is a 15-watt combo amp with EL-84 and 12Ax7 tubes. While 15-watts might not sound like enough, it’s more than enough for a lot of purposes. The simple controls, 12 inch speaker, built-in reverb and footswitch controller make it a solid choice. If you’re looking for a simple blues amp, it’s hard to go past the Blues Junior III. What I like about the Roland Blues Cube Hot Guitar Combo is you’re able to toggle between different power levels. You can set the amp to run at 0.5W, 5W, 15W and 30W which gives you the flexibility to set it for different needs. If you’re playing at home and want to keep the volume low, set the power level to 0.5W. You’ll get a nice overdriven sound without the ear-splitting volume. With this amp, you give up the tubes but gain a lot more features. Roland’s ‘Tube Logic’ circuitry allows you to dial in different tube sounds without the extra weight from real tubes. You also get USB connectivity to record to your computer and headphones output (neither available on the Blues Junior III). If you want to play blues on electric guitar, the gear you use will shape your tone. While some blues guitarists like the idea of plugging their guitar directly into their amp without any pedals, you gain a lot more control over your tone with a couple of pedals. Pedals can also add a lot of character to your tone and give you more ways to express yourself. Even a simple wah pedal can be an endless source of expression and inspiration. The most popular type of pedal for blues guitarists is a drive pedal. A drive pedal can push your amp and create an inspiring overdrive. Even if you’re happy with your amp’s overdrive tone, a drive pedal adds a lot of character to your tone. One of the most popular drive pedals amongst blues guitarists is the Ibanez Tubescreamer. 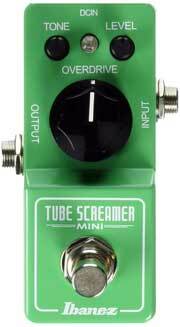 There are a couple of options available, but the option I recommend is the Ibanez Tube Screamer Mini. It’s a compact pedal that gives you a classic Tube Screamer tone. Alternatively, if you’re happy for a bigger pedal, the Ibanez TS9 or Ibanez TS808 are the two most popular Tube Screamers. All of the above pedals are solid choices for a blues guitarist. Each of the different options adds a different character to your tone. 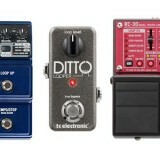 Finding the right pedal depends a great deal on your amp, your guitar and your playing style. The best way to figure out which is right for you is to try them out on your rig. You’ll quickly figure out which one inspires you the most. If you want to learn about the difference between distortion and overdrive, as well as hear examples of different gain pedals, check out my Guitar Effects Course. The course explains how to dial in different blues tones as well as how to combine a pedal’s drive with an amp’s drive for a richer tone. Why might you want a reverb pedal when a lot of blues amps have inbuilt reverb? The reason is that adding reverb in front of the amp creates a very different tone to an amp’s reverb. To learn more about this, my Guitar Effects Course shows you how different effects sound in front of the amp or after the amp’s drive section. Also, check out my guide on the 4 Cable Method to learn more on this topic. A solid choice for a reverb pedal is the Hall of Fame 2 by TC Electronic. This is the upgraded version of their extremely popular Hall of Fame. It gives you access to a wide range of reverb types as well as complete control over them. 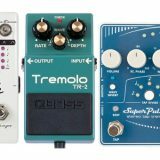 There are plenty of options for reverb pedals, so check out this Ultimate Guide on Reverb Pedals to see the most popular options. In the guide, you can hear examples of different types of reverb and how each type can completely change the vibe of your playing. This is why I recommend buying a reverb pedal even if your amp has inbuilt reverb. If you don’t already have a wah pedal, get one. There’s no other pedal that allows you to express yourself as much as a wah pedal does. You can use it for vocal-like phrases or crank up the overdrive and rip into some face-melting licks. A wah pedal can add a lot of character to your tone. 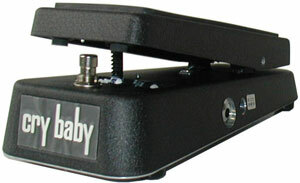 The most popular wah pedal and a solid choice for blues is the original Dunlop Crybaby. It’s a simple pedal with a great tone. It’s been an essential pedal for decades by guitarists around the world. While the Crybaby is a great wah pedal, there are plenty of great alternatives. Other wah pedals give you more control over your tone, tweakable settings, and other voicings. If you’re looking for an alternative to the Crybaby, check out the wah pedals in this guide. One piece of gear you should grab if you want to learn some blues is a guitar slide. Nothing screams blues more than the sound of a guitar slide moving around the strings. You can get a guitar slide in bronze, steel or glass and each type will produce a different sound. A glass slide sounds… glassy…. while a bronze or steel slide has a… you guessed it… a metallic sound. They’re pretty cheap, so getting a metal one and a glass one will give the best of both worlds. Even if you’re not too interested in learning songs that use a slide, there’s another reason I recommend getting one. Using a slide requires you to use your ears. Unlike pushing down on a string with your finger, you need to be precise in positioning the slide or else the note will be out-of-tune. Learning how to slide into a note and stop at the right point is a fantastic way to develop your sense of pitch. I don’t play many songs that use a slide, but every time I use one I feel like I’m giving my ears a good workout. It might feel strange at first, but with a bit of practice you’ll quickly learn some killer slide licks. Blues is an easy style of music to learn on guitar because many blues songs are incredibly simple. That doesn’t mean blues is easy, it means the songs are easy to learn. A simple 12 bar blues progression and a box pentatonic shape is all you need to get started. If you can tick off a few of the above, you’ll be well on your way to getting a blues sound. Listen to a few of the songs listed below and you’ll discover how diverse blues can be. Playing blues on an acoustic guitar is completely different to electric guitar. This means there isn’t a simple set of techniques to play blues. 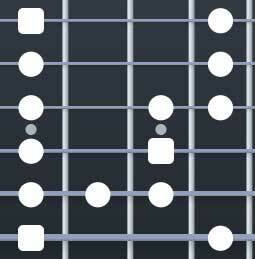 But you might start to notice some common techniques used in different blues songs. Focusing on the above techniques will give you a good starting point. Even if the only thing you focus on was bends, it will be worth your time. Listen to any B.B. King and you’ll hear how important it is to have control over your bends. This guide has talked a lot about gear (this is a gear based site! ), but it’s important to consider feeling in your playing. Blues is all about the feeling. In blues, an expressive bend can sound a million times better than complicated scale runs. The way you improve the feeling in your playing is to think about every note you play. Don’t just run up and down the pentatonic scale. Think about how each note sounds, what you can do with those notes and how you want to express them. I mentioned earlier that blues songs are often simple to learn. They’re often simple from a technical point of view. You might be able to learn a song in a couple of days, but it might take you years to learn how to express yourself and get the feeling right. Some people they’ve mastered a few B.B. King songs, but do they look like this when they play? Learning how to play a song is the easy part. Getting that song to speak takes a lot more than good technique. Slow down and get those notes to speak. Play something people will feel when they hear you play. You’ll find that a few of the above songs have multiple versions by different artists. Blues guitarists love to cover classic blues songs so if you find a song you like, search for covers of that song to hear how other guitarists put their spin on it. Then with a bit of thought, you can try putting your own spin on the song too. To get the most out of your gear and create the best blues tone possible, check out my Guitar Effects Course. It explains how to set up your basic tone, then use effect pedals like an overdrive pedal to enhance your blues tone.